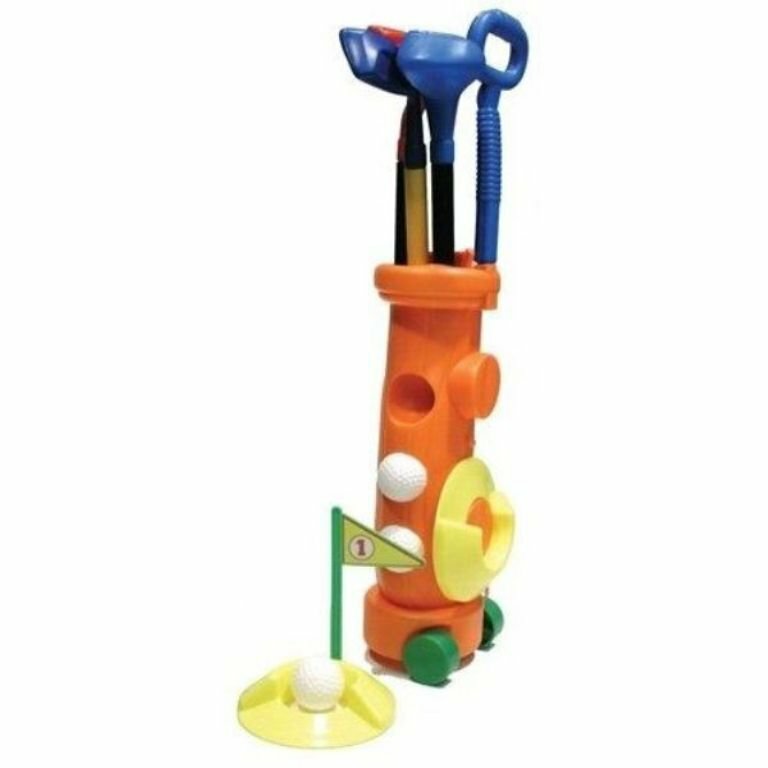 It comes with three (3) clubs, three (3) golf balls, and two (2) practice golf holes, plus a caddy club holder with wheels! • Fun way to instill the love of golf to your little ones! • It comes with everything a child needs to learn the game of golf! This set is designed for children ages 2+ and features a rolling bag and full setup to golf around the house or yard. This set includes a bag, putter, iron, driver, 3 balls and 2 cups with flags. A perfect set for any small golfer!